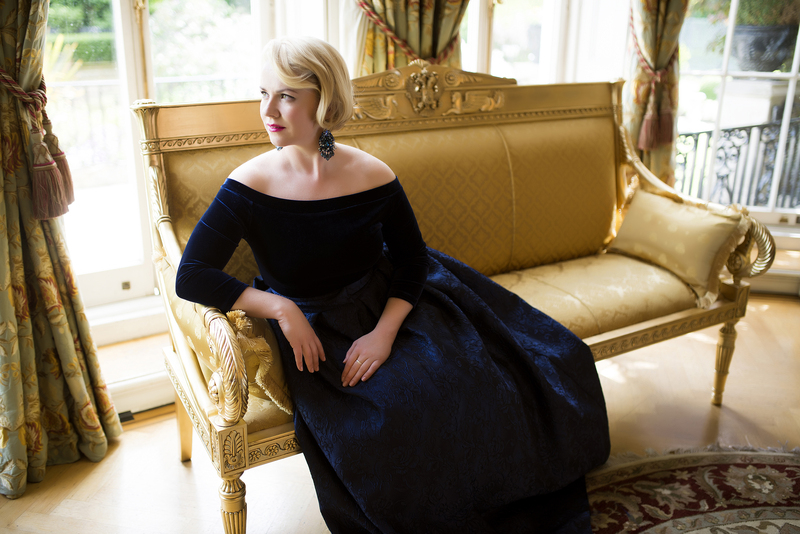 Praised for her “formidabily striking” and “stunning silvery” soprano sound, Sofia Fomina first burst onto the international operatic scene in 2012 when she made a sensational debut at the Royal Opera House as Isabelle in Meyerbeer’s Robert le Diable. A previous member of the Saarländisches Staatstheater and Frankfurt Opera she has since appeared at Paris Opera, Bayerische Staatsoper, Hungarian National Opera, Royal Opera House, Théâtre du Capitole de Toulouse, Theater an der Wien and Concertgebouw Amsterdam. A frequent collaborator with Vladimir Jurowski and the London Philharmonic Orchestra she has performed with them in Fidelio and Mahler’s 4th and 8th Symphonies in London and on tour in Europe and the US. Other concert appearances include Mahler’s 2nd Symphony with Teatro Real, New Year’s Gala concerts with Accademia Nazionale di Santa Cecilia and Czech Philharmonic, Falstaff with the City of Birmingham Symphony Orchestra and a tour of Mahler’s 4th Symphony with the Mahler Chamber Orchestra and Vladimir Jurowski. The 2018/19 season sees Fomina make her role and company debut as Pamina in a new production of Die Zauberflöte at Glyndebourne Festival and returns to Bayerische Staatsoper for performances of Gilda Rigoletto and Fiakiermili Arabella. 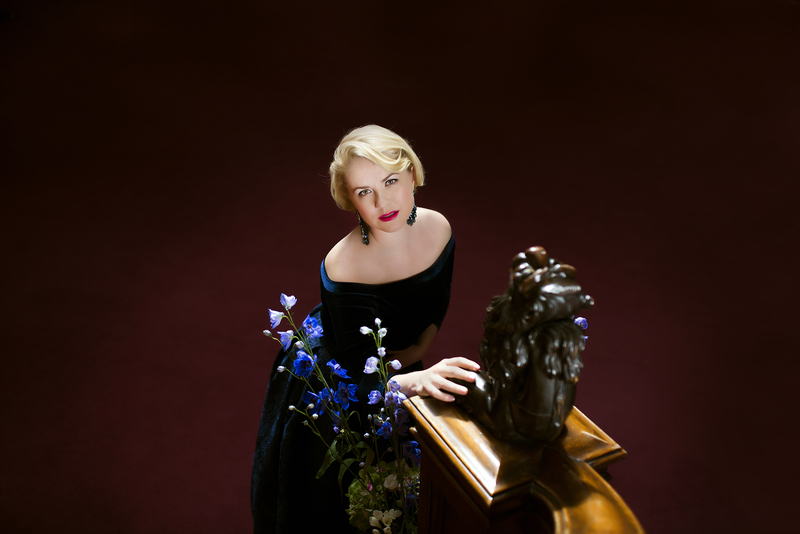 She also makes her Wigmore Hall debut together with pianist Iain Burnside. Next season, Fomina makes an anticipated role and company debut in the title role Manon at Opéra de Paris. Further highlights include a company debut as Zerbinetta Ariadne auf Naxos at Staatsoper Hamburg, Adele Die Fledermaus at Bayersiche Staatsoper and Mahler's 2nd Symphony with Vladimir Jurowski and the London Philharmonic Orchestra. Last season Fomina made her US Operatic debut as Rosina Il Barbiere di Siviglia at Seattle Opera. Shortly after she was heard as Musetta La bohème at the Festspiele Baden-Baden with Teodor Currentzis and as Gilda Rigoletto at Royal Opera House, Covent Garden. Munich audiences saw her as Adele Die Fledermaus, a role debut and as Wellgunde Die Götterdämmerung. On the concert platform, Fomina performed in Mahler’s 8th Symphony with the Danish National Symphony Orchestra under the baton of Fabio Luisi and with the London Philharmonic Orchestra to sing Woglinde Das Rheingold under the baton of Vladimir Jurowski. She also took part in the Deutsche Aids-Stiftung Operngala at Deutsche Oper Berlin. Recent operatic successes include Olympia Tales of Hoffmann and Jemmy Guillaume Tell at Royal Opera House; her debut Opéra de Paris as Blondchen in a new production of Die Entführung aus dem Serail; Berthe Le Prophète at Théâtre du Capitole de Toulouse; Oscar in a new production of Un Ballo in Maschera and Blondchen at Bayerische Staatsoper; and Aquillo in a concert performance of Adriano in Siria at Theater an der Wien. On the concert platform her recent engagements include Marzelline in a concert version of Fidelio at the Concertgebouw Amsterdam and in London with the London Philharmonic Orchestra; Carmina Burana in a New Year Gala Concert with the Czech Philharmonic and Jakub Hrusa; Mussorgsky’s The Nursery and Mahler’s Symphony No.4 on tour in Ferrara, Bologna and Frankfurt with the Mahler Chamber Orchestra, Gerald Finley and Vladimir Jurowski; Nanetta in a concert version of Falstaff with the City of Birmingham Symphony Orchestra debut conducted and Edward Gardner; a New Year’s Gala Performance with Orchestra dell’ Accademia Nazionale di Santa Cecilia; Mahler’s Symphony No.8 and Mahler’s Symphony no. 4 with the London Philharmonic Orchestra in London, Madrid, Valencia, Alicante, Dresden and New York; and Mahler Symphony No. 2 in Toledo Cathedral with Orchestra of Teatro Real. Born in Russia, Fomina studied at the Orlovsky Music College and the Gnesin Academy of Music, Moscow. Her career began at the Novosibirsk Opera Theatre, where she sang roles including Despina Così fan tutte and Susanna Le nozze di Figaro. She later joined the ensemble of the State Theatre of Saarbrucken where she sang roles including Queen of the Night Die Zauberflöte, Giulietta I Capuleti e i Montecchi, Zerbinetta Ariadne auf Naxos, Rosina Il barbiere di Siviglia and Gretel Hansel und Gretel. From 2013 to 2015 she was a member of Frankfurt Oper where her engagements included Onoria in a new production of Gluck’s Ezio, Nanetta in a new production of Verdi’s Falstaff, Queen of the Night, Sophie Werther, Blondchen, Zerbinetta and Musetta. In 2010 she was awarded a grant by the Wagner Association in Bayreuth and received an invitation from Vladimir Jurowski to perform Janáček’s The Eternal Gospel with the London Philharmonic Orchestra at the Royal Festival Hall, which launched her international career. Season 2018-19 / 686 Words. Not to be altered without permission. "Sofia Fomina was sheer delight, floating her A flat on “luna” rapturously at the end of her first brief rendezvous with Fenton." Fomina was a totally convincing Isabelle, pure of voice and totally believable in terms of sheer beauty…She can project tenderness (the act II duet, ‘Avec bonte voyez mon peine’), yet she can also harness her abilities to generate truly exciting coloratura. "Sofia Fomina as Jemmy is possessed of a clean, pure and yet formidably striking soprano."